The Swallow's Nest is a decorative castle near Yalta on the Crimean peninsula in southern Ukraine. It was built between 1911 and 1912 in Gaspra, on top of 40-metre (130 ft) high Aurora Cliff, to a Neo-Gothic design by the Russian architect Leonid Sherwood. The castle overlooks the Cape of Ai-Todor of the Black Sea and is located near the remnants of the Roman castrum of Charax. 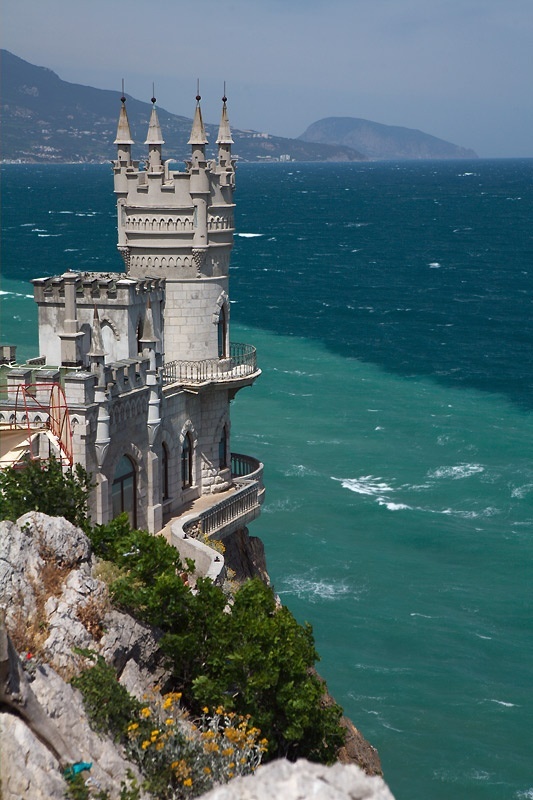 Swallow's Nest is one of the most popular visitor attractions in Crimea, becoming the symbol of Crimea's southern coastline.